The US psychologist Professor Howard Gardner has been bestowed with the 2011 Prince of Asturias Award for Social Sciences, as made public today in Oviedo by the Jury responsible for conferring said Award. Internationally recognised for this theory of multiple intelligences, which has revealed the diverse manifestations of the human intellect, his research has been decisive in the evolution of the education system by taking into consideration the innate potentialities of each individual. This candidature was put forward by Alberto Flaño Romero, president of the Fundación Avanza (Seville). 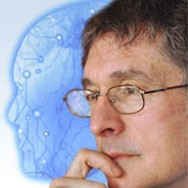 Howard Gardner (Scranton, USA, 1943) was awarded his PhD in Social Psychology by the University of Harvard in 1971. He is currently the John H. & Elizabeth A. Hobbs Professor of Cognition and Education at Harvard Graduate School of Education, where he also holds a position as Adjunct Professor of Psychology. Since 1972, he has been the Co-director and chair of the Steering Committee of Project Zero, a research group at Harvard University that studies learning processes in children and adults. His field of research has focussed on the analysis of the cognitive abilities of human beings, a field in which he has developed his theory of multiple intelligences, which has led to significant changes in the education system. Gardner sustains that one single form of intelligence does not exist, but rather that each individual possesses at least eight cognitive abilities or intelligences: linguistic, logical-mathematical, bodily-kinesthetic, musical, spatial, naturalistic, interpersonal and intrapersonal. He also considers these intelligences to lack intrinsic value and that the behaviour of each individual in society, making use of his or her intelligence, constitutes a fundamental moral issue. Founded in 1967 by the philosopher Nelson Goodman to study and improve education in the arts, Project Zero has widened its field of interest over the years to other educational disciplines. Project Zero has addressed the design of assessments based on performance, on education for comprehension, on the use of multiple intelligences to achieve a more personalised teaching system and on the quality of interdisciplinary efforts in education. One of its most important contributions is the model of the “intelligent school”, based on learning as a consequence of the act of thinking and learning as deep comprehension that involves the flexible, active use of knowledge. The majority of this work has been implanted in public-sector schools in the USA, especially those serving a more underprivileged populace. For some years now, Gardner has also participated in the GoodWork Project, aimed at improving professional quality and self-esteem, taking the factors of excellence and ethics as a reference. Gardner is the author of 25 books, translated into 28 languages, and of around 450 articles. These include the following titles, among others: Frames of Mind. The Theory of Multiple Intelligences (1987), Art Education and Human Development (1994), Multiple Intelligences. Theory in Practice (1995), Creating Minds (1995), The Mind’s New Science. A History of the Cognitive Revolution (1996), Art, Mind and Brain. A Cognitive Approach to Creativity (1997), The Unschooled Mind. How Children Think and How Schools Should Teach (1997), Extraordinary Minds. Portraits of Four Exceptional Individuals and an Examination of Our Own Extraordinariness (1999), The Mind’s New Science. A History of the Cognitive Revolution (2002) and Good Work. When Excellence and Ethics Meet (2002). His latest publication is Five Minds for the Future (2009). Howard Gardner holds 26 PhDs honoris causa from universities in the USA, Bulgaria, Chile, Greece, Israel, Ireland, Italy and South Korea and is an honorary member of numerous academic institutions. Among others, the awards he has received include the MacArthur Prize Fellowship (1981), the National Psychology Award (USA, 1984), the William James Award from the American Psychological Association (1987) and the University of Louisville Grawemeyer Award in Education (1990). He was chosen as “one of the 100 most influential intellectuals in the world” in 2005 and once again in 2008 by the magazines Foreign Policy and Prospect. According to the Statutes of the Foundation, the Prince of Asturias Awards aim “to reward the scientific, technical, cultural, social and humanistic work performed at an international level by individuals, institutions or groups of individuals or institutions”. As part of this spirit, those "whose creative work or research in the fields of Anthropology, Law, Economics, Geography, History, Psychology, Sociology or any other Social Sciences represents a relevant contribution to their development to the benefit of mankind” may be nominated for the Prince of Asturias Award for the Arts. This year a total of 31 candidatures from Argentina, Canada, Croatia, Chile, France, Germany, Greece, Israel, Mexico, Moldova, Norway, Portugal, Sweden, Switzerland, United Kingdom, United States, and Spain ran for the Award. This is the second of eight Prince of Asturias Awards to be bestowed this year for the thirty-first time. The Prince of Asturias Award for the Arts went to Italian conductor Riccardo Muti. The rest of awards will be announced in the coming weeks in the following order: Communication and Humanities, Technical and Scientific Research, Letters and International Cooperation, with the Sports and Concord awards being announced in September.